10 Weirdest & Most Wonderful Spots in the U.S.
t’s an unexpected sight: California’s largest lake in the middle of its biggest desert. After the Colorado River flooded in 1905, it took 1500 workers and half a million tons of rock to put the river back on course. 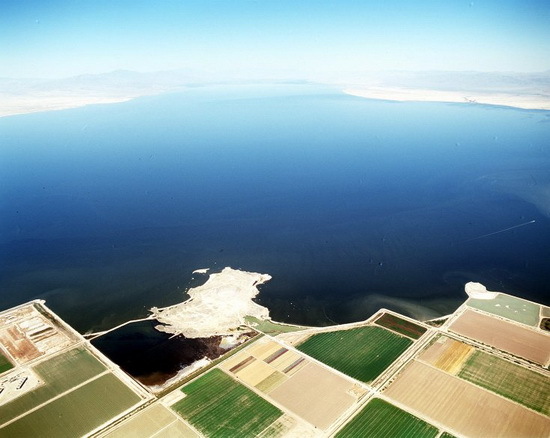 With no natural outlet, the artificial Salton Sea is here to stay. Its surface is 220ft below sea level and its waters 30% saltier than the Pacific. Full post: 10 Weirdest & Most Wonderful Spots in the U.S.